Today's trash patrol was truly an impromptu affair resulting from a cancelled afternoon meeting. So, after completing my morning obligations, I could just drive across the river, go home and catch up on some chores or....I could throw my boat in the river and enjoy some time on the water. I think you can pretty well guess the outcome. Though a little cloudy and cool at the start, at least the wind was greatly diminished from what its been the past few days. Upon launching at Sherman's Bridge and heading upriver, I encountered some folks fishing from the shore with some serious looking gear that gave me the impression they planned to be there for a while. 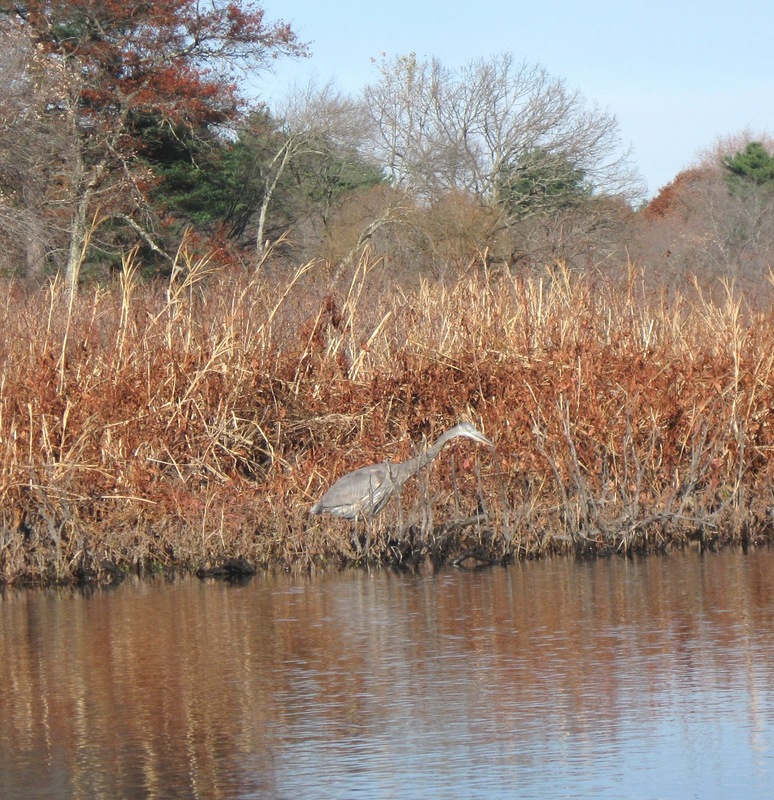 In fact, when I returned about 3 hours later they were still there and in talking with one of them, Erik, he explained they were fishing for carp and were associated with an organization called Blackstone Carp. You can learn more about them at this link. Once on the site, scroll down a little and hit the "Read More" button. You will see a photo of Erik holding a massive carp he once caught. While they were fishing, they removed what trash they saw in the area. Erik explained that their organization believes in practicing good stewardship. Sure would be nice if more shore fishermen held such values. 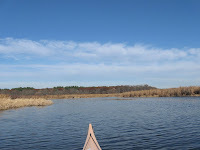 In addition to the blue heron, there was also a pair of soaring red-tailed hawks, and a single osprey. 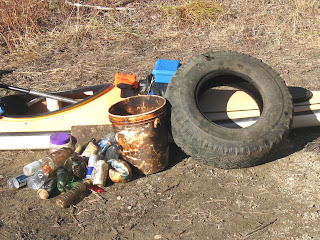 Trash was found mostly in the vicinity of the 2 bridges. However, in about the middle of this section I came across 2 automobile tires. In order to get the first one onboard, I needed to add what Curley Howard called a "water letta outa". Once drained of the weighty water, the much lighter tire was fastened to my aft deck. Reaching my turnaround point at River Rd., the tire was left there until I could drive back to pick it up. Doing this allowed me to pick up the second tire on my return trip to Sherman's Bridge using the same technique. They totaled 25 pieces and included 19 recyclable containers (3 redeemable) and 6 pieces of miscellaneous rubbish such as the 2 tires (only 1 pictured), some styrofoam items, and a 5-gallon plastic pail. My YTD total stands at 5646. My hope is that the Wayland DPW will help me with the ultimate disposal for the 2 tires. Last week, they provided much appreciated help with the disposal of another tire. It was a pleasure meeting you today sir! Keep up the good work and I'll be keeping my eye on your blog. Safe paddling! I have posted a return link on our site, under the volunteer/parks section.